A Jew on his yacht asked his captain a simple question. The result was inestimable. 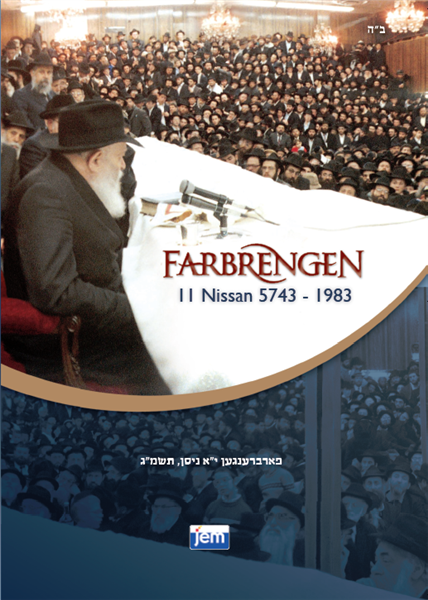 In this televised Farbrengen celebrating his eighty-first birthday, the Rebbe focuses on issues which continue to impact our society to this very day. The Rebbe zeroes in on the vital need for moral education for our children, genuine pride in our Jewish ways, and how these simple and straightforward measures will impact the world at large. This special release includes the entire four hour event. Five of the major addresses are presented with subtitles. This special release includes the entire four hour event, fully restored and subtitled.